Intrigued by the process of raw-edge appliqué, I designed several patterns. 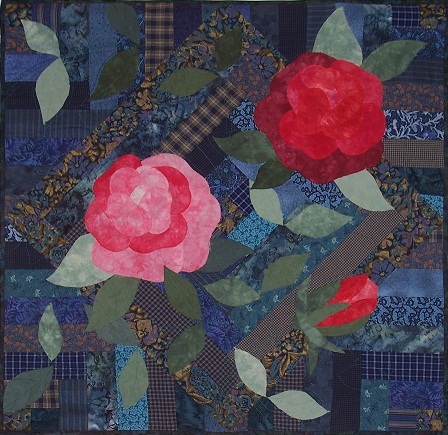 The background is pieced with the roses raw-edge appliquéd on top. The quilt is machine quilted with vines and leaves.